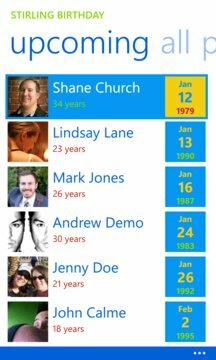 Stirling Birthday displays your friends' upcoming birthdays on a beautiful live tile! 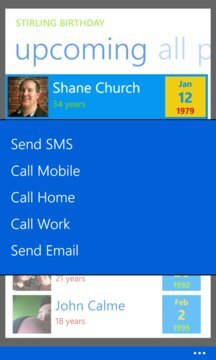 * Quickly see all birthdays upcoming in the next month, birthdays from the previous month, and all birthdays for all of your contacts. Unlimited, ad-supported free trial available.